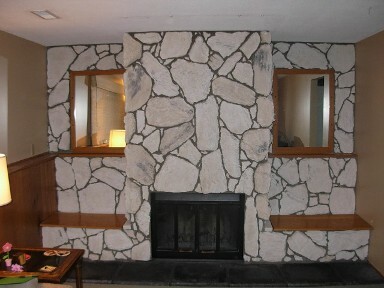 What was once the "in" look, now shows just how old your house is. If you are trying to sell your house, or just want an updated look, J. Robinson Construction can help. 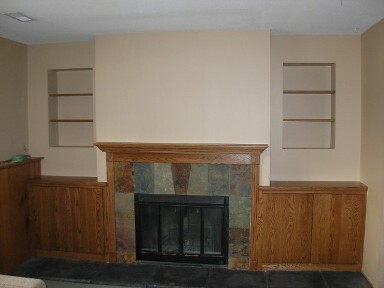 The above fireplace has an oak mantel with built in cabinets, recessed shelves, and a slate tile surround.